A few members from various co-ops came together recently to create the GTA Co-op Network, with a mission to create online and offline networking and education events. This informal group came out of the realization that there is a gap in networking and promotion between Toronto & GTA co-ops, and a need to educate the general public about co‑ops. The GTA Co-op Network’s first step was creating a Facebook group page. The next step is to host some great events all over the GTA, to promote + educate. If you’re not a fan of Facebook, the organizers have also set up a Google email group account. You can join the group here. Please feel free to join even if you are outside of the GTA. Iler Campbell LLP is pleased to be a Silver Sponsor to the Schulich School of Law at Dalhousie University, in the second annual “Twitter Moot”, hosted by the West Coast Environmental Law Association (WCEL), on November 20, 2012, at 10 a.m. PST (1 p.m. EST). 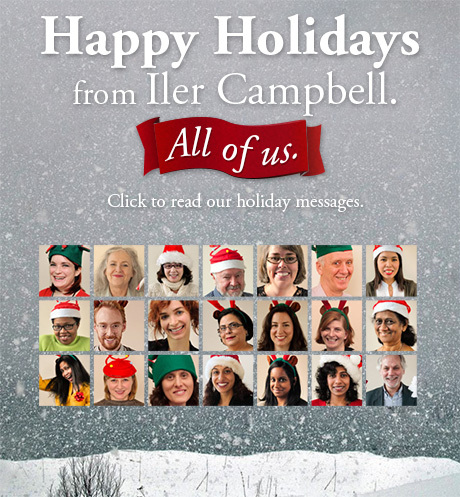 This is Iler Campbell’s second year sponsoring the Dalhousie team, the alma matter of Iler Campbell lawyer Paula Boutis, where Paula obtained her law degree, with a specialization in environmental law. Paula Boutis and our articling student, Jessica Weizenbluth, recently authored a paper on species at risk legislation which Paula presented as part of the Law Society of Upper Canada’s Six Minute Environmental Lawyer 2012. The paper and presentation provide an overview of the laws on the books, how they have been applied, case law, and where the legislation is going from here. Download the paper and presentation here.